Ernesto Valverde must help Barcelona keep Manchester United at bay or indeed kill them off, extinguishing their hopes of progress in the Champions League on Tuesday night. Camp Nou plays host to the English outfit who must overturn a 1-0 deficit following victory for the Catalans at Old Trafford last week. 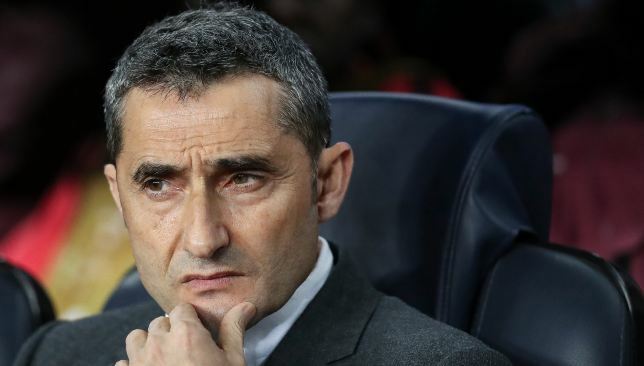 Here, we look at the key tactics Valverde may employ. Click here to read United’s key tactics. 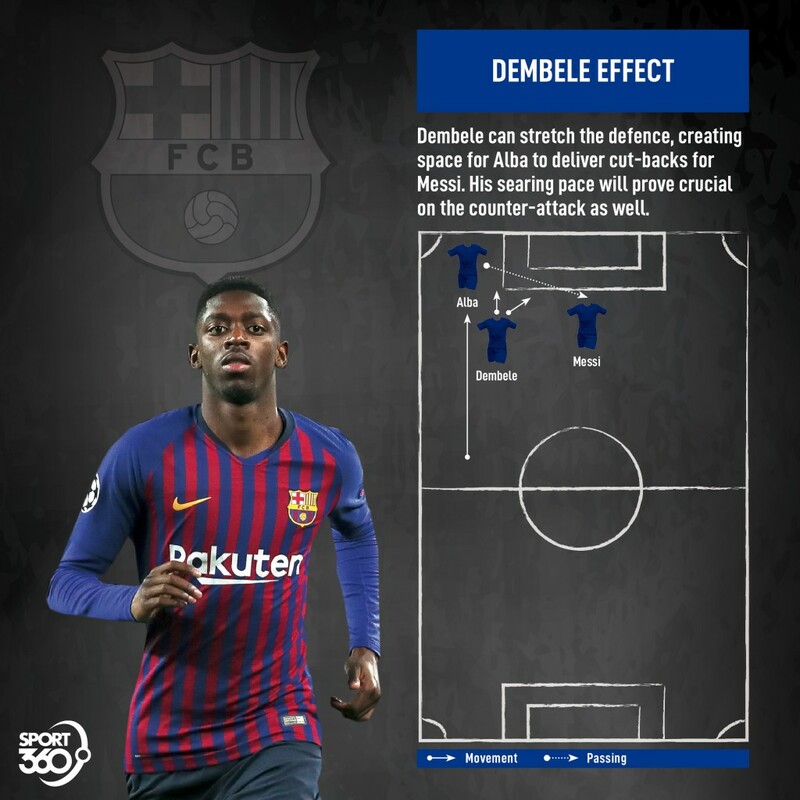 Ousmane Dembele’s likely return to the starting line-up should see his pace and trickery on the left wing stretch United’s defence, creating space for Lionel Messi when he drifts inside. The Argentine, along with Luis Suarez, definitely missed the scrambling effect the 21-year-old has on defences during his injury layoff. The Frenchman’s threat means Jordi Alba’s marauding runs forward from full-back carry more weight as well, bringing his cut-backs for Messi into play. As the game progresses and United begin to commit more numbers forward, Dembele’s searing pace will prove crucial on the counter-attack, something that they sorely lacked during the closing stages at Old Trafford. Given that United only had 35 per cent of possession at home, it’s conceivable that they may enjoy even less at Camp Nou. For their part, Barcelona must drive home that advantage and ask more questions of the defence. 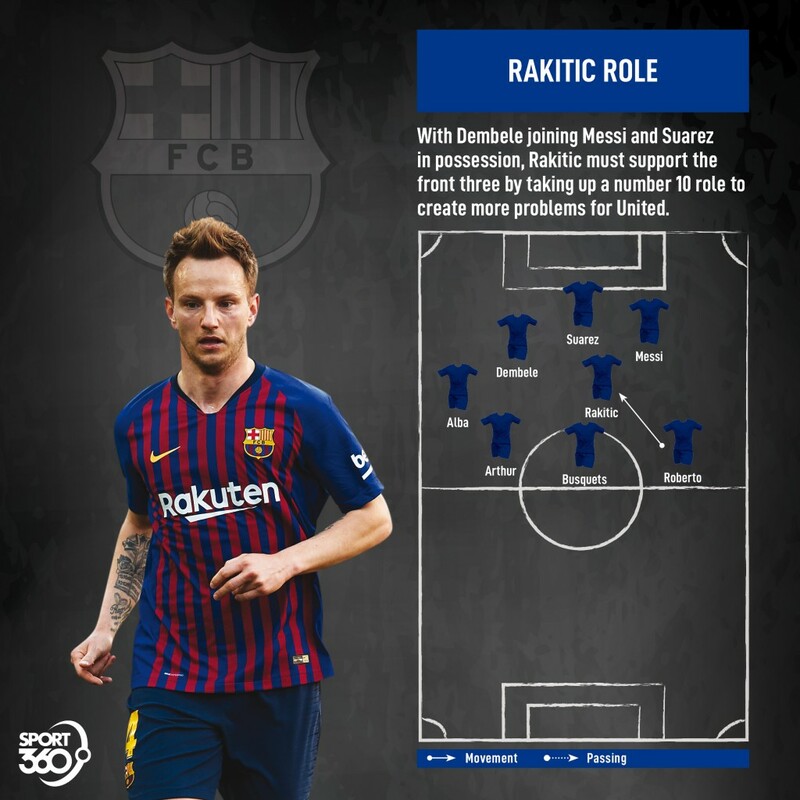 With Dembele likely to push up with Messi and Suarez in possession, Ivan Rakitic must support the front three in the final third. During a prolonged spell of controlled passing, the Croatian can take up a number 10 role in behind the attack to create more problems for the visitors. Sergi Roberto can then push up and tuck inside to sit alongside Arthur and Sergio Busquets, maintaining pressure on United. Ole Gunnar Solskjaer will have to mastermind another successful away leg result if Manchester United are to avoid elimination from the Champions League on Tuesday night. The Norwegian takes his side to Camp Nou where they must overturn a 1-0 deficit following Barcelona‘s victory at Old Trafford last week. Here, we look at the key tactics he may employ. Click here to read Barca’s key tactics. The tie remains finely poised and a 4-2-3-1 formation may help Solskjaer find the sweet spot between defence and attack. 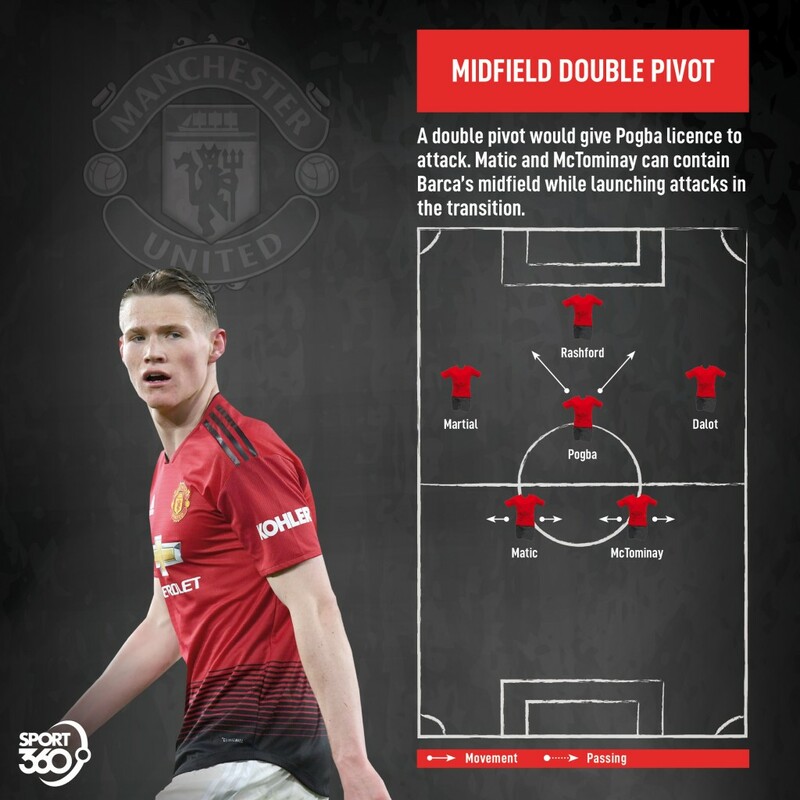 With Nemanja Matic back fit and Scott McTominay rested over the weekend, United could field a double pivot with Paul Pogba given licence to attack ahead of them. The defensive midfield duo would be tasked with containing Barcelona in the middle of the park while serving as a launching pad for attacks in the transition, unleashing the front four when the opportunity presents itself. 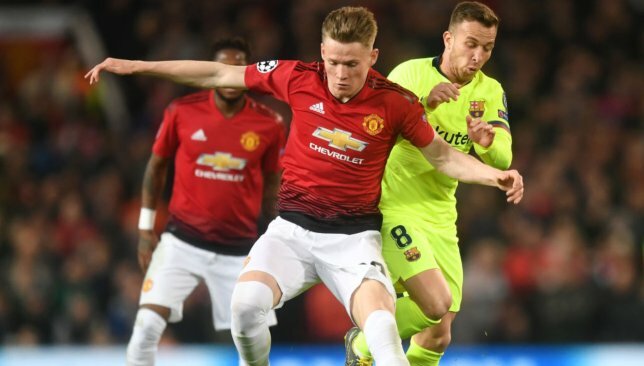 With the energy he possesses, McTominay can even join in the attack on occasion with Matic’s presence offering insurance, especially when the full-backs get involved as well. A banged-up Lionel Messi was hardly in his element at Old Trafford but even then he managed to produce the decisive moment. Attempts to shadow the Argentine are futile but nullifying the tools he uses most is a viable ploy. Ousmane Dembele’s likely return to the starting XI should strengthen Barca’s left flank, boosting Messi’s link-up play and service. Deploying McTominay on the right of a midfield double pivot would help keep Dembele and Jordi Alba in check. Ashley Young was poor in the first leg but should retain his spot as that would allow Diogo Dalot to occupy the right flank ahead of him, offering more cover in defence in tandem with drive and quality delivery in attack. 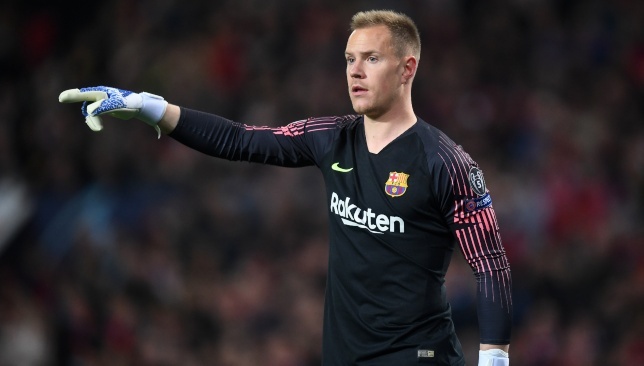 Barcelona No1 Marc-Andre ter Stegen. 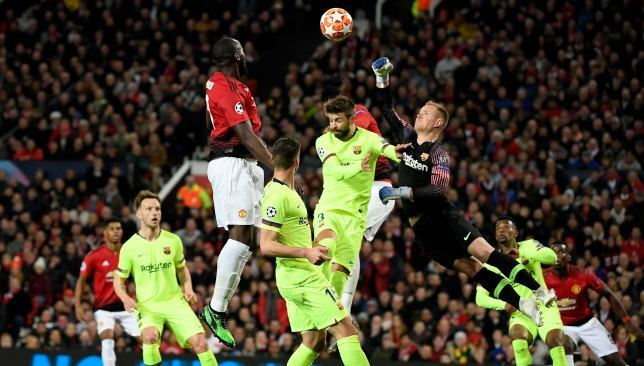 Barca were given a few nervy moments by United in the first-leg.